1- 6 Batemans Row , Shoreditch , London - Central , England , UNITED KINGDOM (Postal Code: EC2A 3HH). This sports centre offers 25 meters, 3 lanes, 1.2 meters uniform depth, 1.2 meters uniform depth, Non-Chlorine Sanitized, Indoors. 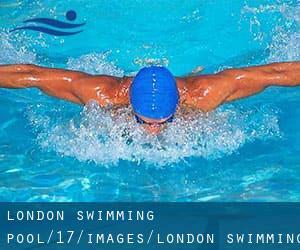 Contact information for this Swimming Pool such as phone number and email address are number. Airedale Avenue , Chiswick , London - West , England , UNITED KINGDOM (Postal Code: W 4 2NW). This sports centre gives 18 meters x 12 meters, Indoors. For this Pool, only phone number is number here. 50 High St. , Purley , London - South , England , UNITED KINGDOM (Postal Code: CR8 2AA). Among all the activities offered by the centre, if you're thinking about swimming you will enjoy 25 meters x 13 meters, 0.9 meters - 1.8 meters depth, 0.9 meters - 1.8 meters depth, Indoors. Just in case you desire to contact this Swimming Pool before dropping by, we only know the phone number. West Ferry Circus , Canary Wharf , London - East , England , UNITED KINGDOM (Postal Code: E14 8RR). This sports centre offers 20 meters x 10 meters, 5.1 feet depth, Indoors. For this Swimming Pool, only phone number is number here. Walmer Rd. , Kensington , London - Central , England , UNITED KINGDOM (Postal Code: W11 4PQ). Among all the activities offered by the centre, if you are interested in swimming you might get pleasure from 33.3 meters, 4 lanes, 1.2 meters depth, 1.2 meters depth, Indoors. If you need to contact this Swimming Pool, email address and phone number are both number. 229 Caledonian Rd. , Islington , London - North , England , UNITED KINGDOM (Postal Code: N 1 0NH). Few days ago a regular user of this centre told us they offer 25 meters x 12.5 meters, 0.9 meters - 1.5 meters depth, 0.9 meters - 1.5 meters depth, Indoors. Furthermore, they keep in good conditions 20 meters x 10 meters, Indoors. For this Swimming Pool, only phone number is number here. 80 Trafalgar Road , Greenwich , London - South , England , UNITED KINGDOM (Postal Code: SE10 9UW). This sports centre gives 25 yards x 45 feet, 4 lanes, 0.9 meters - 2 meters depth, 0.9 meters - 2 meters depth, Indoors. For this Swimming Pool, only phone number is number here.